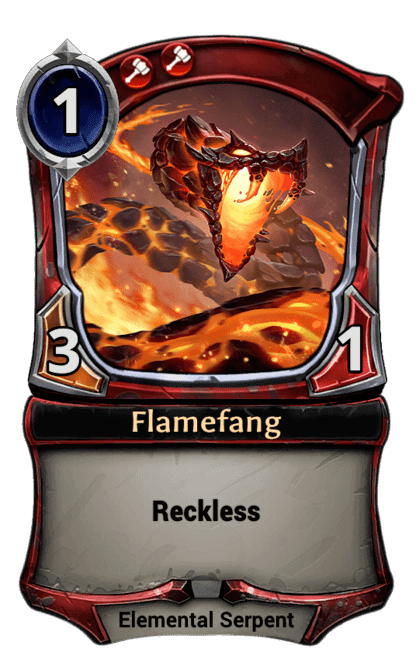 When you or one of your units hits the enemy player, play a 3/1 Flamefang with Reckless. 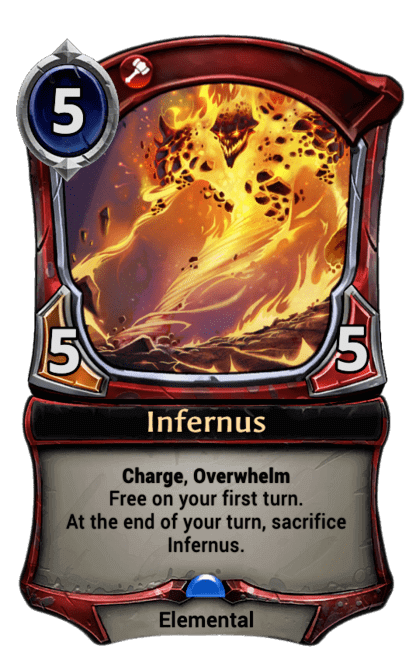 Summon: Play a 5/5 Infernus. 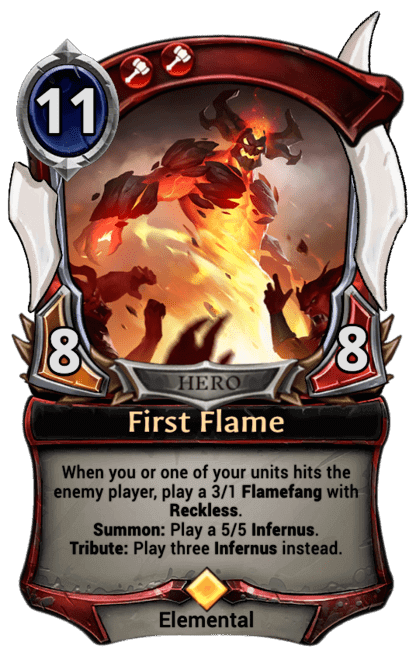 Tribute: Play three Infernus instead.